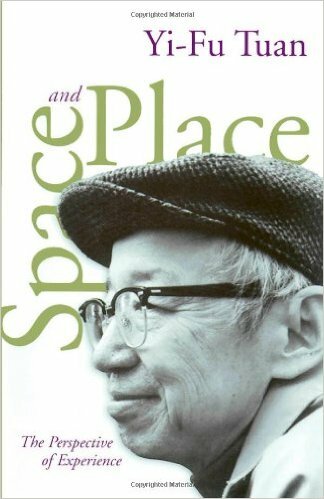 In Space and Place: The Perspective of Experience, Tuan, a renowned geographer, considers “the ways in which people feel and think about space”, in a book filled with humanistic questions and insights. Tuan wrote an earlier book, Topophilia, about human attitudes, values, and the physical environment, which also sounds super interesting! Space and Place is the evolution of this line of study, an even “more coherent statement” focusing on these twin titular concepts from a perspective of “experience”. Chapters include: Experiential Perspective, Spaciousness and Crowding, Mythical Space and Place, Time in Experiential Space. Tuan treats topics like: territory, behavioral patterns, home and spaciousness, culture and meaning. The book arrived in the same era as A Pattern Language, and I sense some resonance there. It contains a number of great illustrations and diagrams, for example “learning a maze” and “etak: a system for organizing spatial data”. It seems a very interdisciplinary and poetic approach, adeptly toeing the line beetween academic and personal, with philosophical meditations on some complex and conceptually elusive topics, and our relationships to them.